In the following tutorial you will find detailed information on how to accomplish image transformation with your C# camera application using the Ozeki Camera SDK. After reading this guide you will be able to align distorted images, move image segments to an area of interest or resize images. First, OZEKI Camera SDK has to be installed and a reference to OzekiSDK.dll has to be added to your Visual Studio project. With the help of image transformation the image can be optimized by modifying the appearance of it. 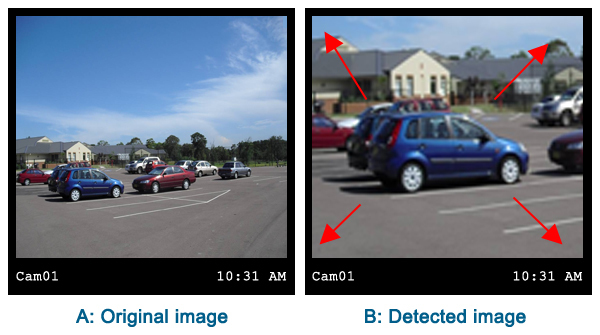 For example, if you wish to examine a larger public area (let's say a parking area), you will benefit from the image transformation function. With the help of the resize option you can make a larger image which provides you more important details about the vehicles or the people who visit the area so the security service of the area will be more effective. For a second example, with the help of the resizing function label inspection on products will be easier than ever. With the help of this guide you will gain all the necessary information which is needed to implement and use the image transformation function. This lecture will provide detailed information on how to implement transformations like aligning distorted images, move segments to an area of interest and resize images with your C# camera application using the Ozeki Camera SDK.